Mostly known as a LGBT friendly neighborhood, Hillcrest is a fantastic nightlife spot for people of all ages, races, creeds and sexualities. Whether you’re searching for strobe lights & fist pumps, country line dancing or a pool table in the back of a dive bar, Hillcrest nightlife delivers. Perhaps most well-known in Hillcrest is Urban Mo’s – a bar with great burgers and a lively dance floor. 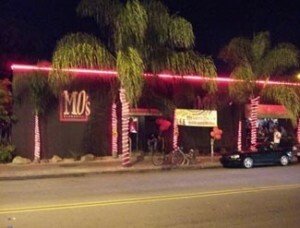 Mo’s keeps it fresh with different themes every night, including country line dancing (with lessons if needed), House/Top 40/Dance Beats or a Dreamgirl’s Review. Casual, comfortable, fun…Mo’s can be the place that you sit around and reminisce with friends over some food and drinks – or the place you go to dance all night. Open 365 days a year serving food until 11:00 pm and cocktails until 2:00 am, you always have a place to party at Mo’s. For those nighttime revelers who prefer a little more flash and glamor, Eden is your Hillcrest destination. With nearly 14,000 square feet of indoor and outdoor space, Go-Go dancers of both genders a-dancin’ and bass bumping music, you can be assured of a good time at Eden! 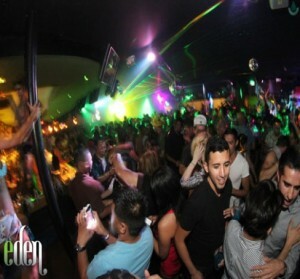 More closely resembling a Downtown nightclub with their lights and staging, Eden goes all out to keep the party people happy by featuring top-notch DJs that keep the music pounding all night long! Lets not forget the fun, hole-in-the-wall watering spots for those who just want to get their drink on. Personal favorites include Fiesta Cantina and #1 Fifth Avenue. Fiesta has a very relaxed/open vibe similar to something you’d find in a beach bar in Mexico. And while #1 Fifth Avenue doesn’t seem like much from the outside, the drinks are cheap and they’ve got a great outdoor patio in the back with a couple of pool tables and a great laid back attitude. The Lafayette Hotel’s pool parties are the perfect place to recover after a night of too much fun. And once you’ve partied your tail off at night, be sure to check out the Lafayette Hotel‘s summer pool party for a little recovery time. Bloodys, music and naps by the pool? Yes please! This entry was posted in Attractions, Insider Tips and tagged bars, dive bars, Hillcrest, nightclub, nightlife by Benjamin Eastman. Bookmark the permalink.